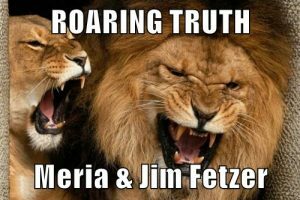 4/26/18 Roaring Truth, with Meria & Jim Fetzer. Macron, trump & Syria;Mike Pompeo Secy of State -Islamophobe, liar and war hawk;Rand Paul played;Macron puppet of Baron Rothschild;Scott Pruitt’s investigations;Dr.Randy Jackson “the candy man”;trump is running Israel’s foreign policy;Raytheon & Douma;Israel & Iran;Michael Cohen pleads the 5th, trump throws him under the bus;Larry Kudlow-more bad judgement;Mulvaney’s “pay to play”;Hillary & Bernie;WW3 in Middle East?No & So.Korea;USA is untrustworthy; false flags; Toronto van attack & Waffle House -MKUltra? cops are trained in brutality by Israel;”never again” and Israel on Palestinians;and more insanity.